Seriously, is there anything more annoying? As an admirer, you’re faced with the realization that you’ll never get your hands on that treasure. But it also makes us wonder: What incredible vintage wares could we find if we, too, step into the vintage unknown? 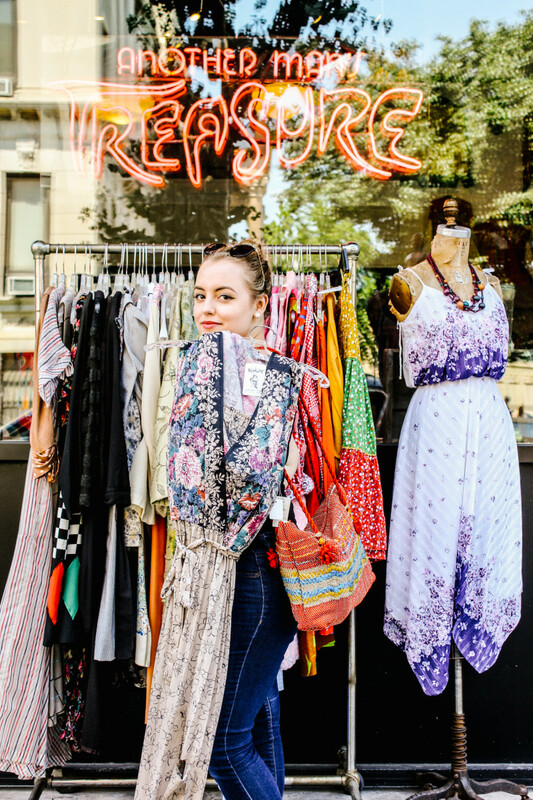 There is a challenge and mystery to vintage shopping that is both exciting and daunting, inspiring and completely overwhelming. 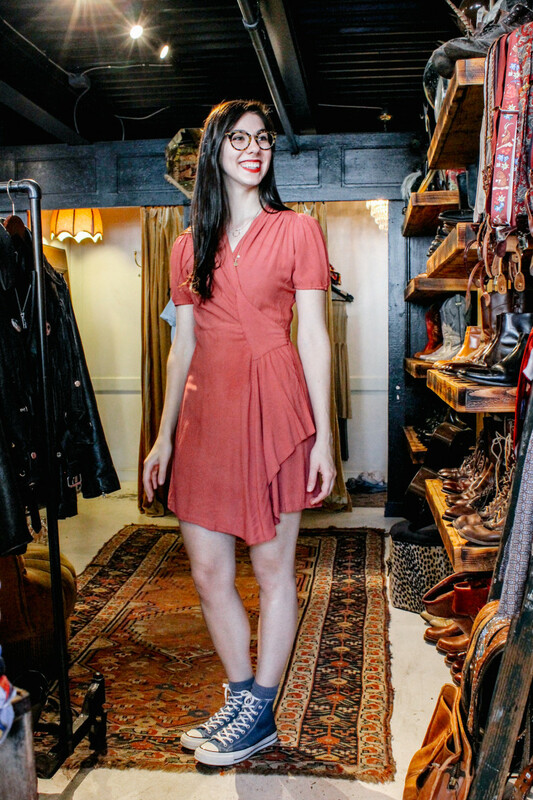 Verily’s Style Editor, Lillian Fallon, has been shopping almost exclusively vintage for the past year and a half and has experienced a complete style transformation. 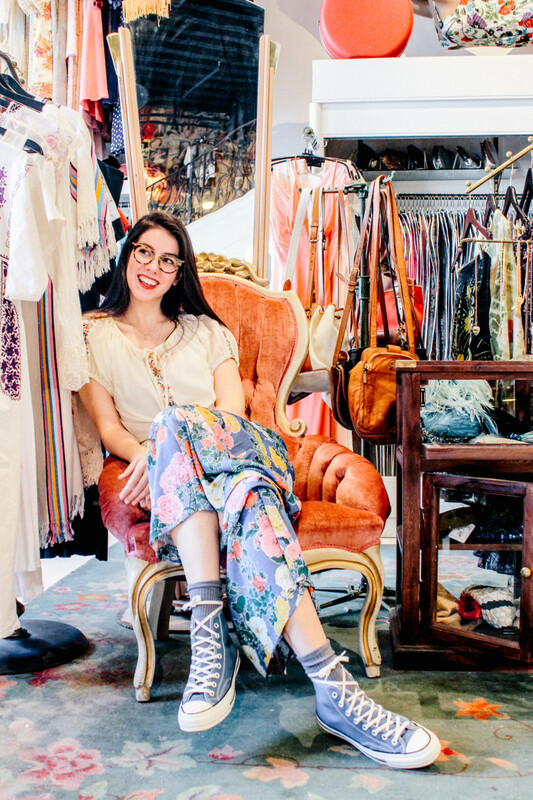 Through trial and error, Lillian developed a system that helps her approach vintage shopping with confidence and ease. 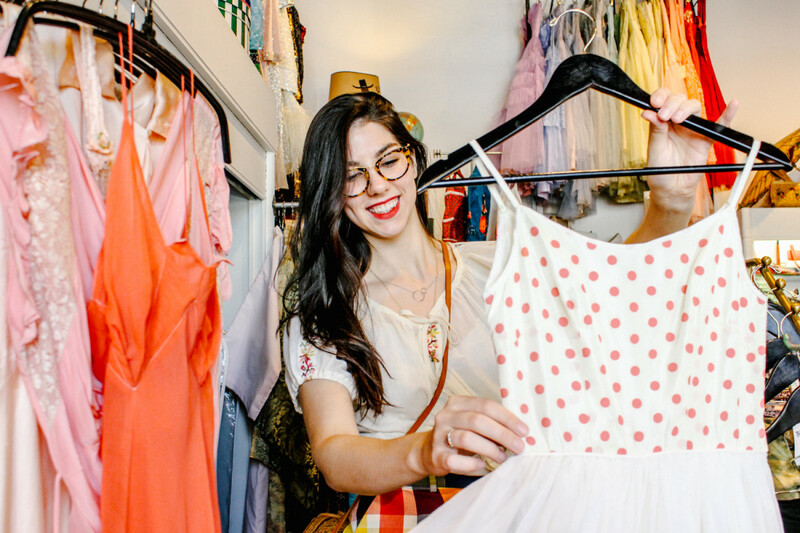 She took me, a Verily intern who also has a love for vintage, to the Another Man’s Treasure vintage shop in Jersey City to explain her best shopping tips for conquering the unusual sizes, styles, fabrics, and situations you’re sure to find when you shop off the beaten path. 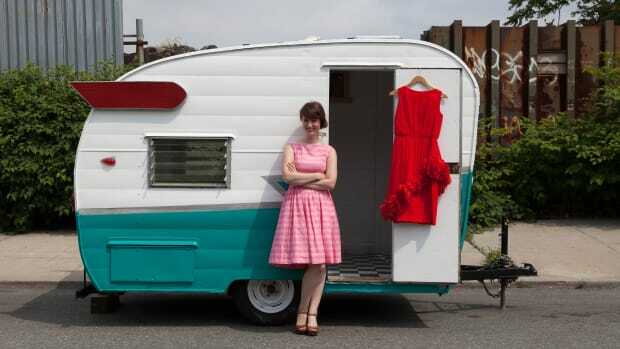 Ready to make your entrance into the vintage shopping world? Here’s what Lillian taught me, which will help you become a pro in no time. 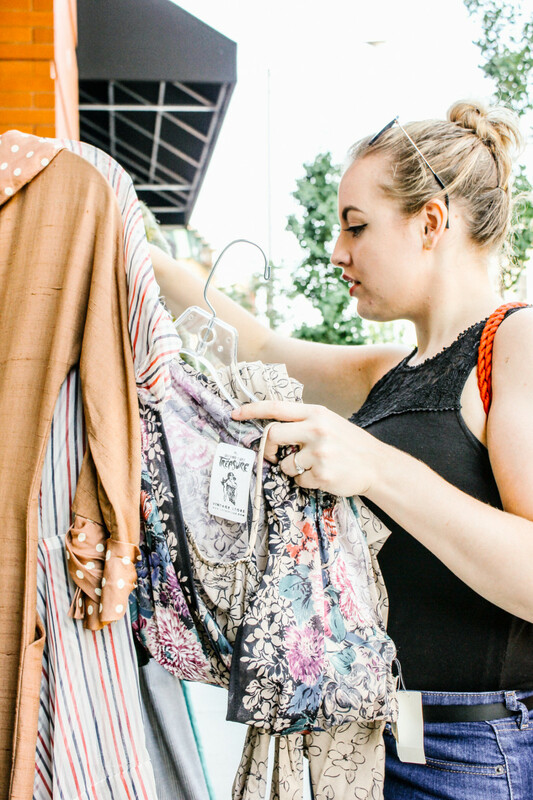 Vintage sizing is nothing like modern sizing and is often much smaller than what we’re used to buying in the store. Before hitting the shops, Lillian recommended we take our measurements. She explained that too many times in the past, she’s tried on vintage items marked size 10 that ended up fitting like a modern size 6. 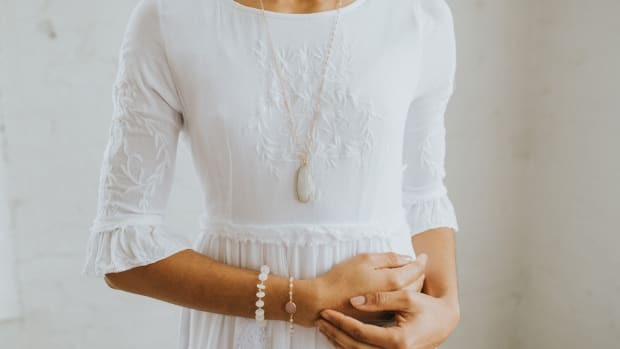 “By having an idea of the width of your bust, waist, and hips, you can assess the width of the dresses and whether they will match,” she explains. Not sure how to measure yourself? Take a flexible measuring tape and wrap it directly across your breasts and around your back until the 1-inch mark (not the end—sometimes that first inch isn’t quite right) meets the other side of the tape, and write down the number the 1-inch end meets. Next, wrap it around your natural waistline (the smallest part of your waist) and then the widest part of your hips (not your hip bones, but across your behind). Put a note in your phone with all the measurements so that they’re handy on your shopping trip. 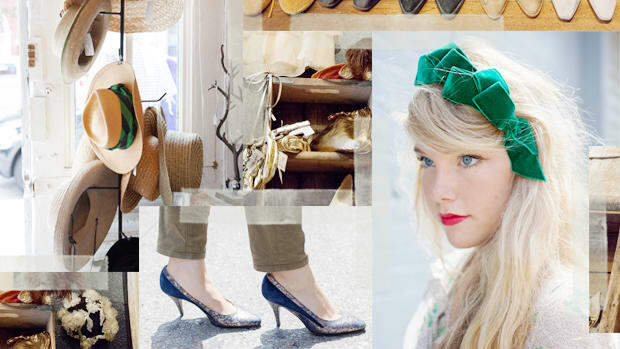 Verily Style Editor, Lillian Fallon, shares styling tips for vintage newbies. Take to the internet and start researching images from your favorite movies that were either filmed in the past or take place in the past. Collect images of what inspires you on Pinterest, so you can keep in mind what items you’re looking out for. Better yet, download Pinterest to your phone and reference it while shopping. 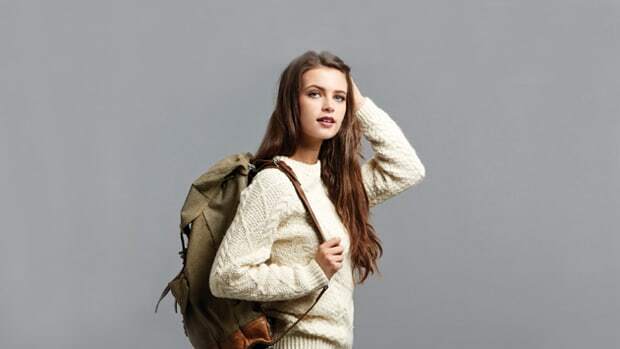 That way you can start identifying specific items you want to find, such as a pair of high-waisted jeans, an embroidered jacket, a silky scarf, or velvety styles. Upon entering Another Man’s Treasure, Lillian took it all in—but then made a beeline to the dresses. 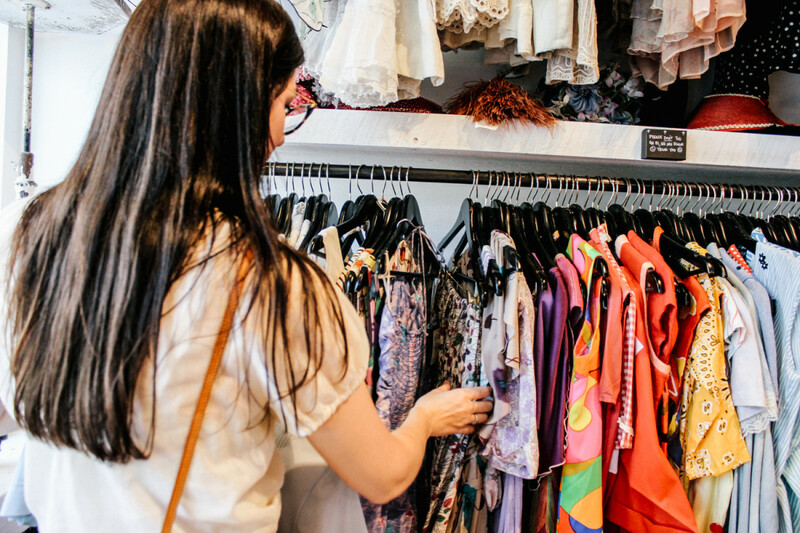 She explained that it’s best to start at your favorite section because it eases you into the experience: “Dresses are one-and-done outfits, so you don’t have to get creative with separate items. 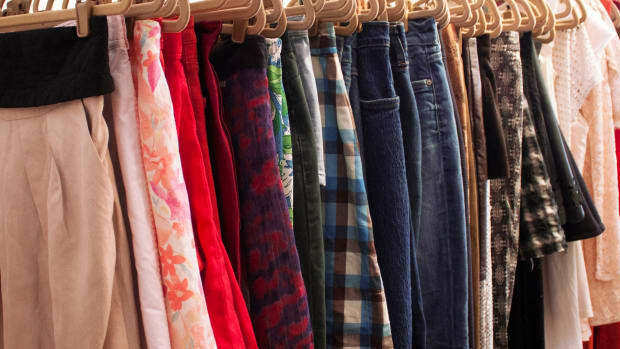 Make your way around the store, section by section.” Next up were skirts, shorts, and then tees. 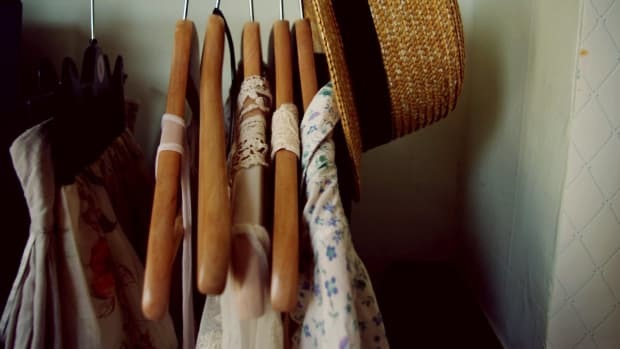 If the idea of vintage shopping is overwhelming, try focusing on the sections of clothing that you love the most. It’ll help you mentally compartmentalize, so you don’t overload your brain with all the unique items you want to look through. Lillian scans the selection of one-of-a-kind vintage dresses at Another Man’s Treasure. While it’s great to know exactly what you want, be open to unexpected items that jump out at you, even if they’re not on your list. I’ve heard Lillian say time and again, “Vintage chooses you, and the experience is love at first sight.” I expected to leave the shop with an armful of feminine dresses but ended up with a suede Kelly green vest instead. 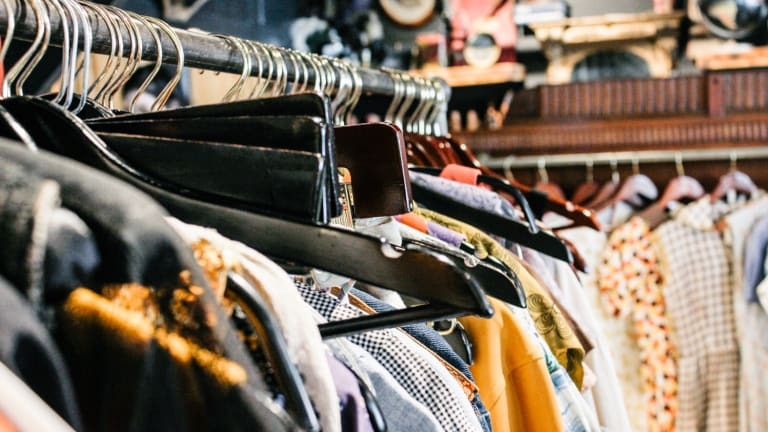 At the mall, we can find and buy exactly what we’re looking for, but the best part of vintage shopping is that you can find a treasure that blows away your expectations and is greater than what you initially wanted. Gabri tries a nineties floral dress. Furthermore, she explained that prints and fabrics are also helpful for identifying an item’s era. 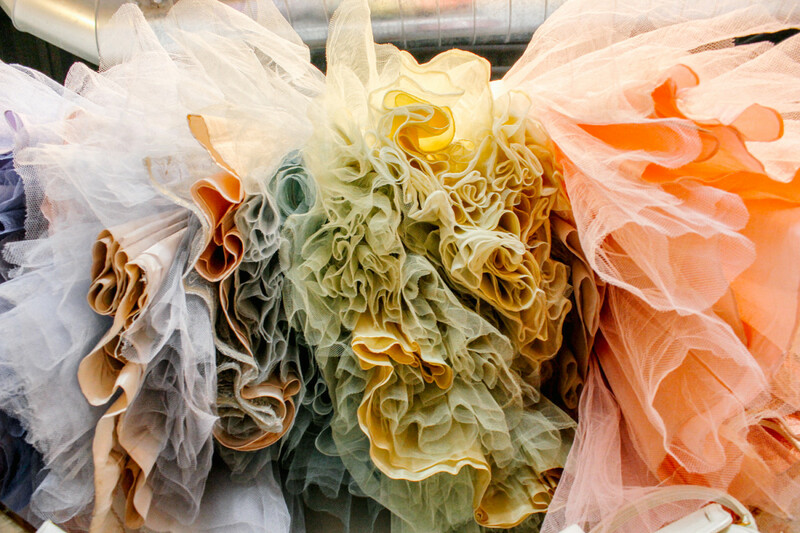 For example, items from the 1950s often focused on silky fabrics, crinoline underskirts, plaid, and delicate floral prints. Items made in the 1960s often featured vibrant warm colors (orange, yellow, brown) in bold, cartoon-like prints of flowers, polka dots, and abstract shapes. The 1970s used a lot of muted, faded tones and textures such as suede, leather, and lace. Of course, the 1980s were all about intense jewel tones, neon colors, sewn-on gemstones and sequins, and shiny synthetic fabrics. I especially love 1960s styles, so I naturally gravitated toward items that had unique prints and Twiggy-worthy fits. 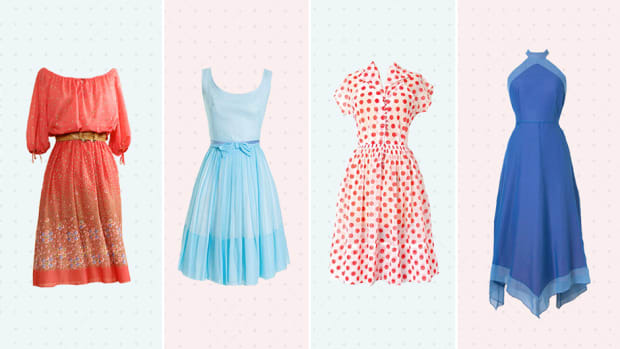 The inside of 1950s dresses are just as pretty as the outside. When an item is more than 30 years old, it’s often not perfect, and there might be a hidden stain or a ripped seam in the back. In the fitting room, Lillian set the example by evaluating whether her coveted items were easily fixable or a huge undertaking. She found a darling maroon 1940s dress with a few loose threads inside—nothing major. Some damages, however, might not be worth it to you. Rips on seams, missing buttons, and fraying hems are all simple fixes, but tears in the middle of the fabric, displaced zippers, or major water stains and discolorations can be a little more complicated. Ask yourself whether the piece is worth the extra TLC or money spent on repairs. For the final step, we hit up the accessories. Vintage knickknacks might seem too tacky (imagine your grandmother’s vanity covered in costume jewelry), but it’s actually great for snagging items that will upgrade your outfit. Lillian’s fave? The silk handkerchief drawer. 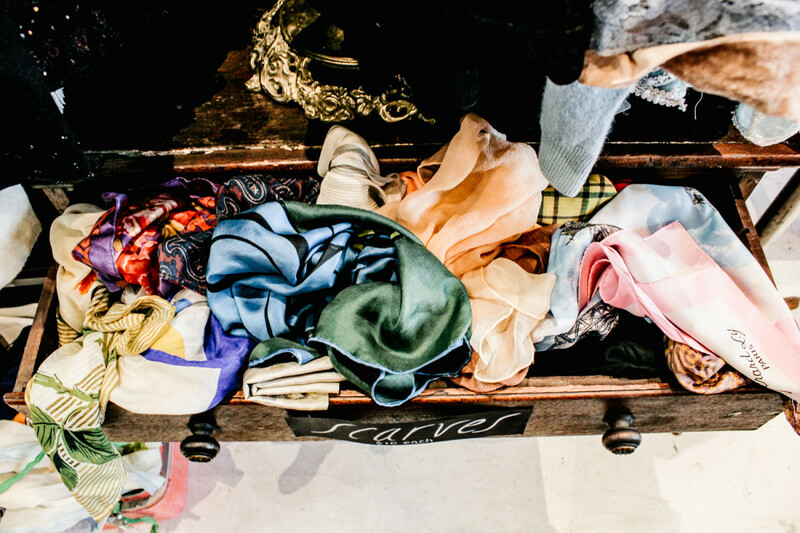 We rifled through them until I discovered a one-of-a-kind English print silk scarf, which I immediately tied on à la Audrey Hepburn in Roman Holiday. Bejeweled floral brooches instantly upgrade your blazer or winter coat (or your next DIY project), and shimmering art deco rings will have you smiling every time you look down. Accessories can seriously make an outfit, so don’t forget to check them out before heading to the register. Silky handkerchief scarves can upgrade any outfit.